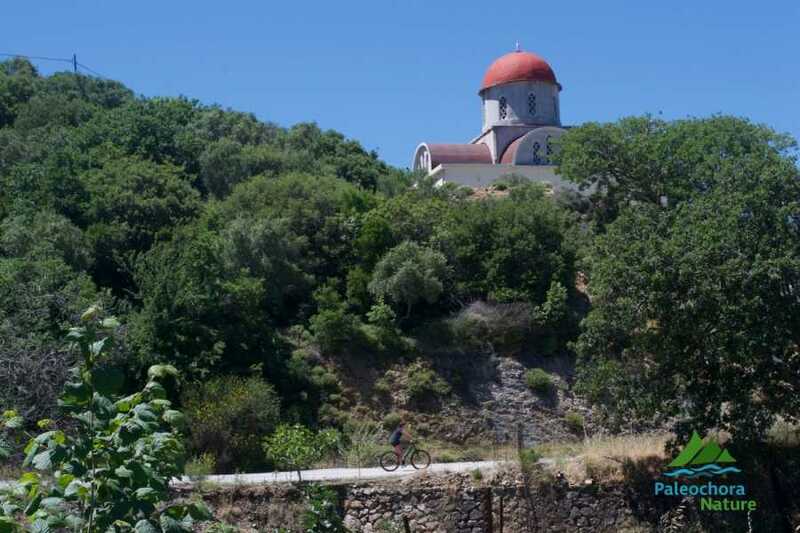 Vlithias - Sfakos - Kadros - Paleochora Grade: *** Total Distance: 31.6 km. 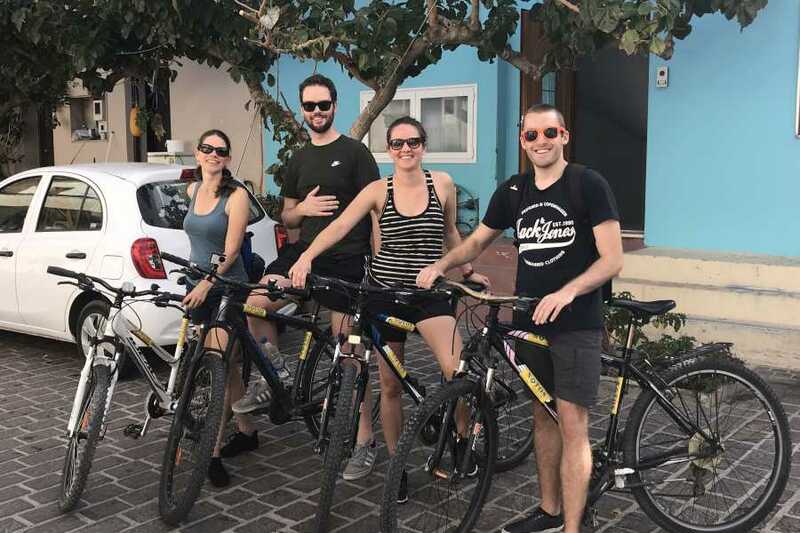 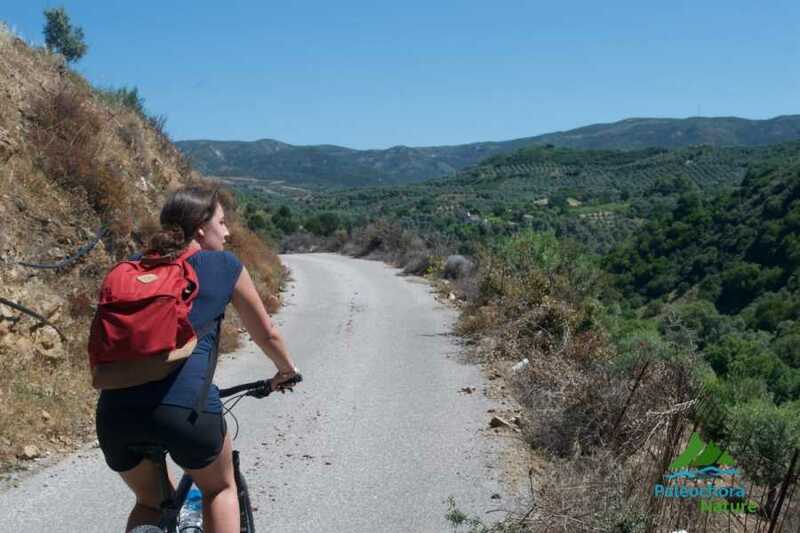 Rewarding cycle tour up the Kakodikianó-river valley. 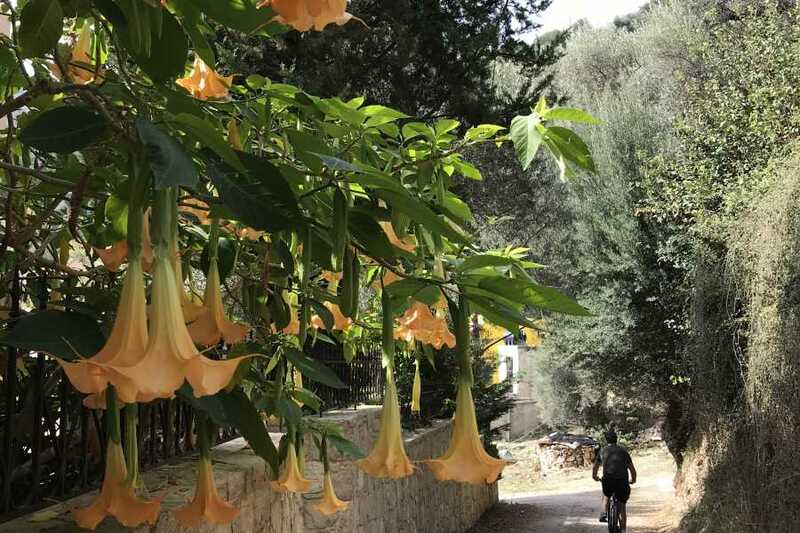 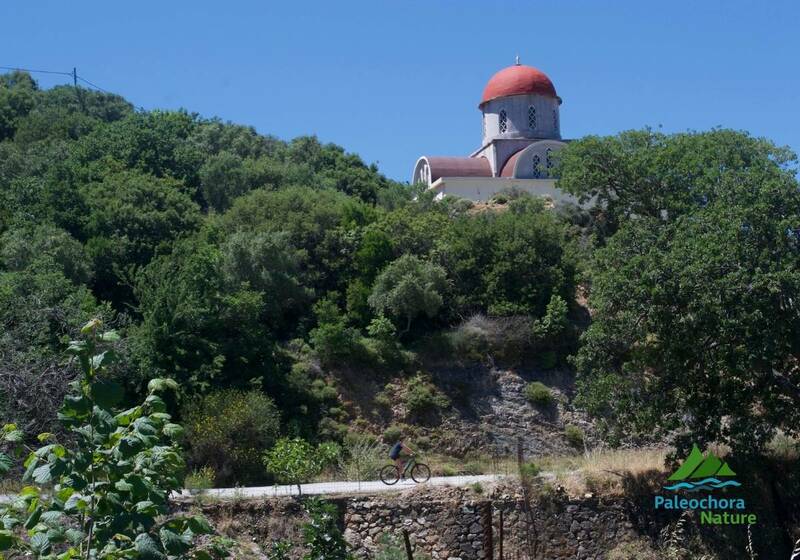 Start in Paleochora and climb through numerous villages to fertile and shady Sfakos. 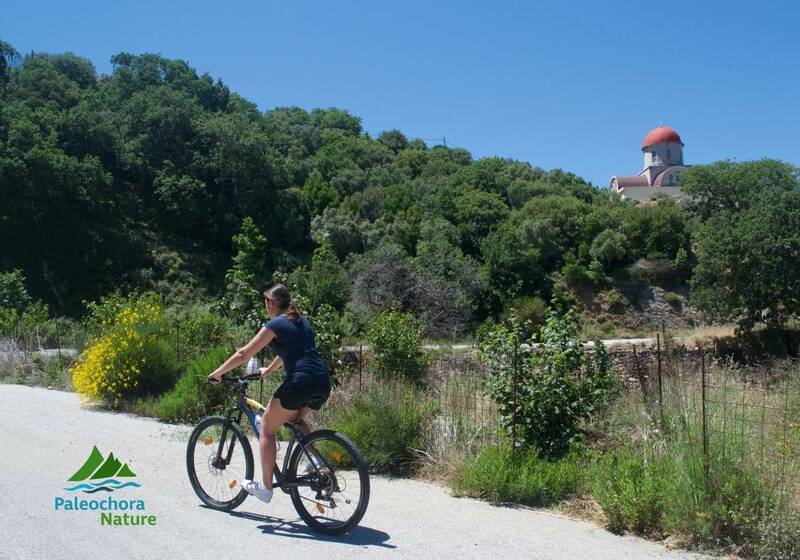 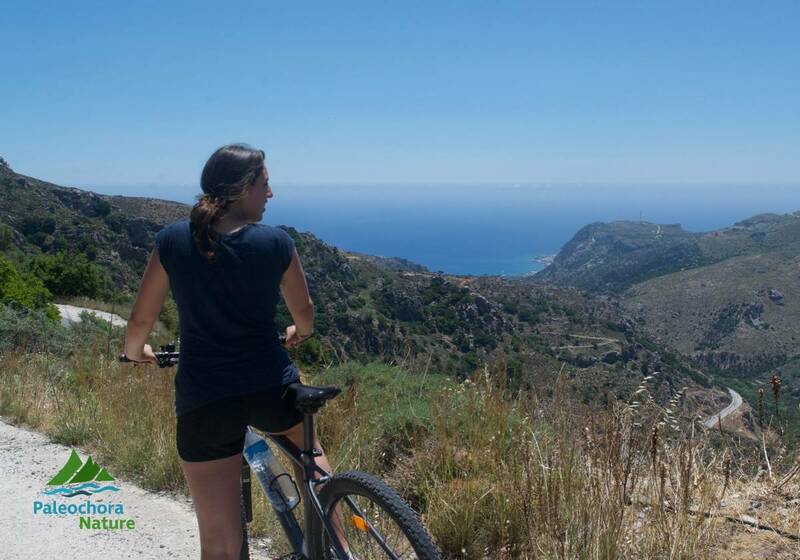 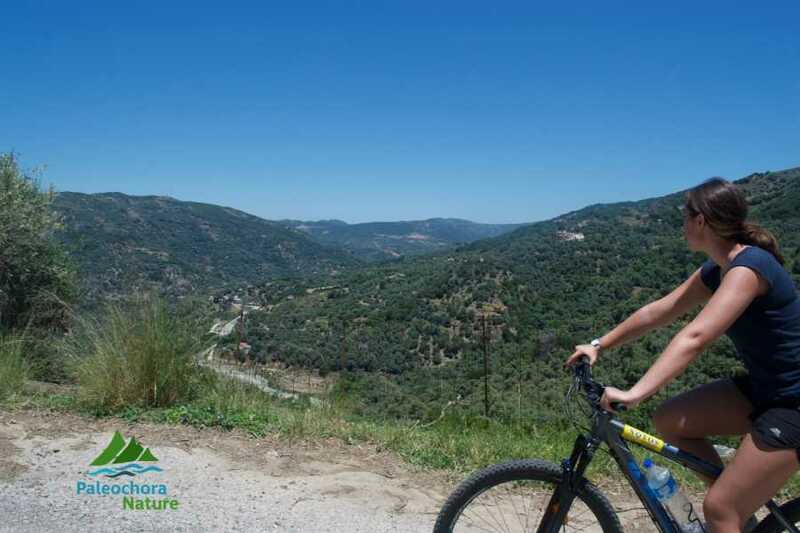 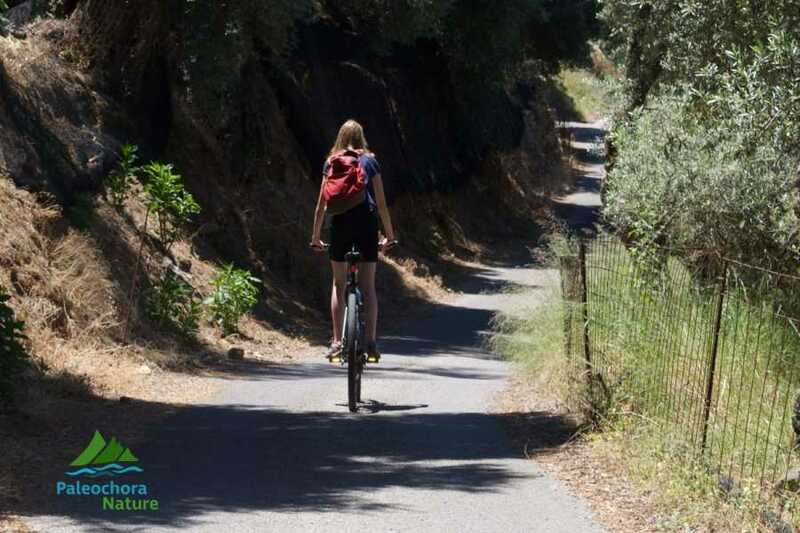 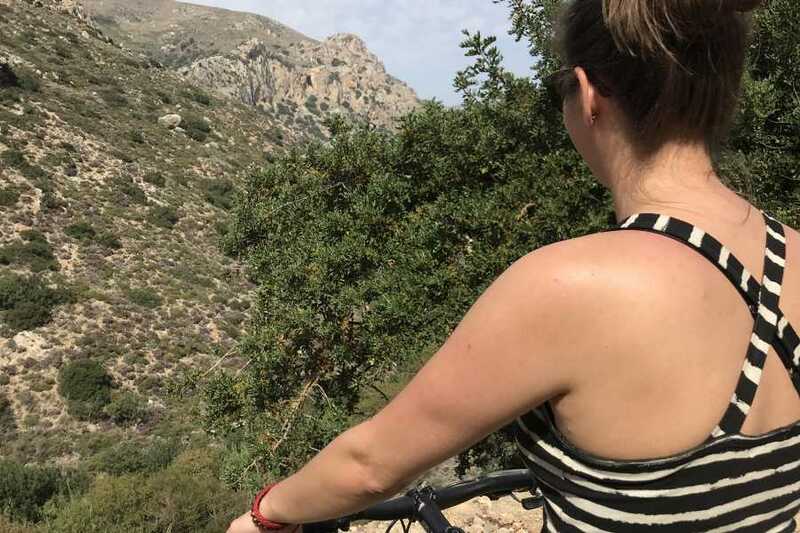 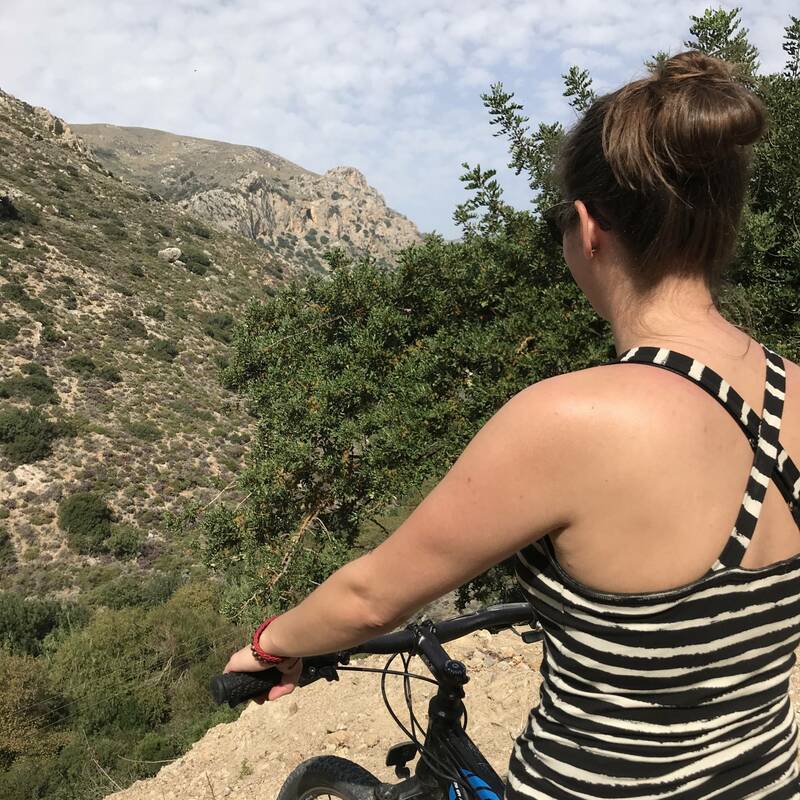 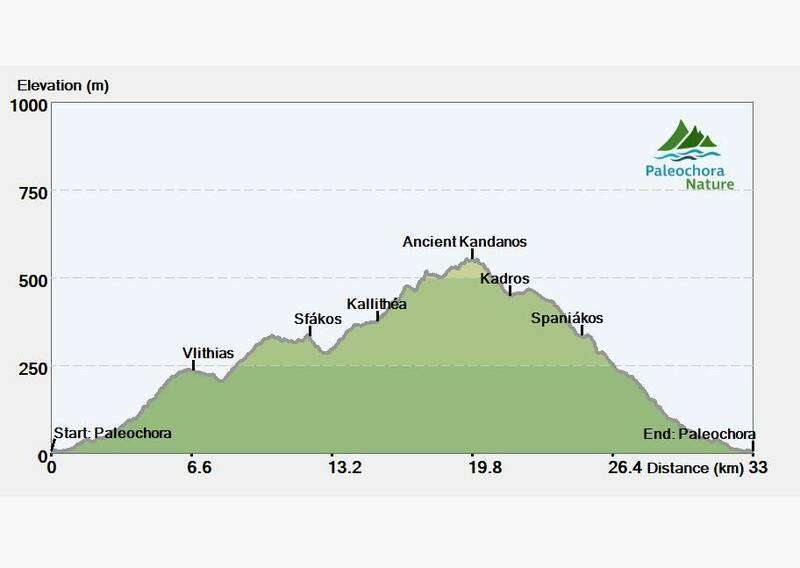 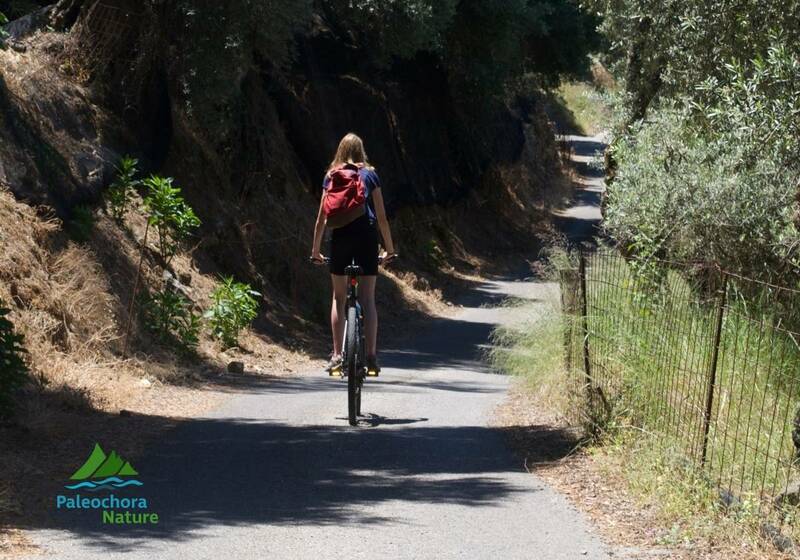 Here you cross the valley and by the way of the pretty villages of Kadros and Spaniakos, follow a descent with fantastic views over Paleochora. 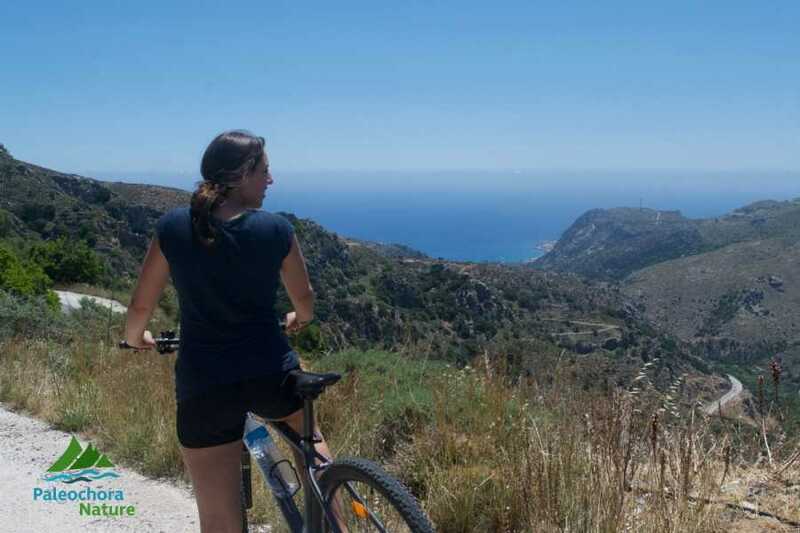 Map, route description and GPS track € 6.00. 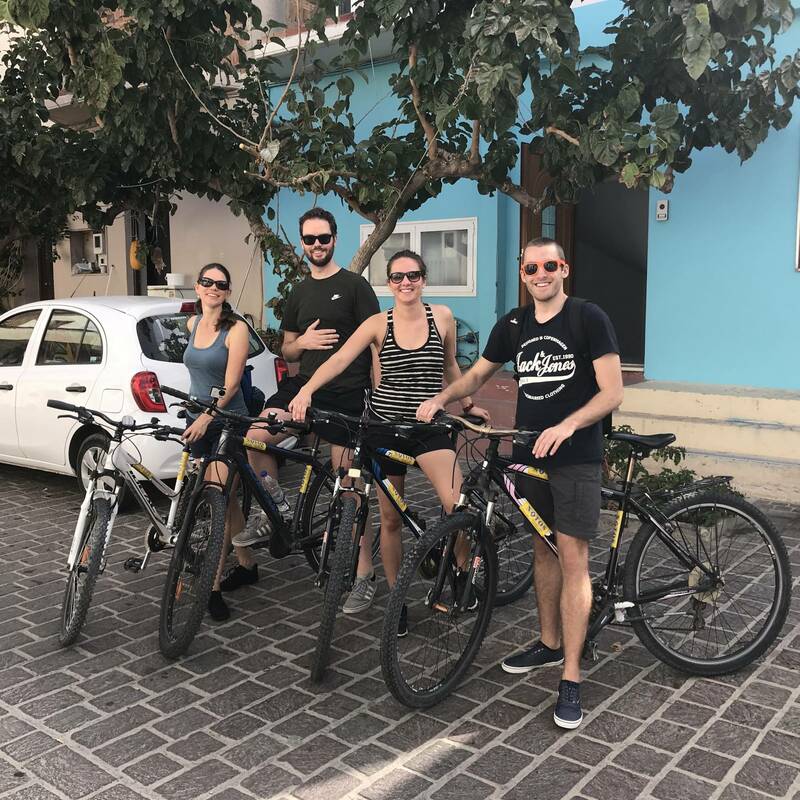 Pay and collect in our office at the Kontekaki Street (next to the Chania Bank) in Paleochora. 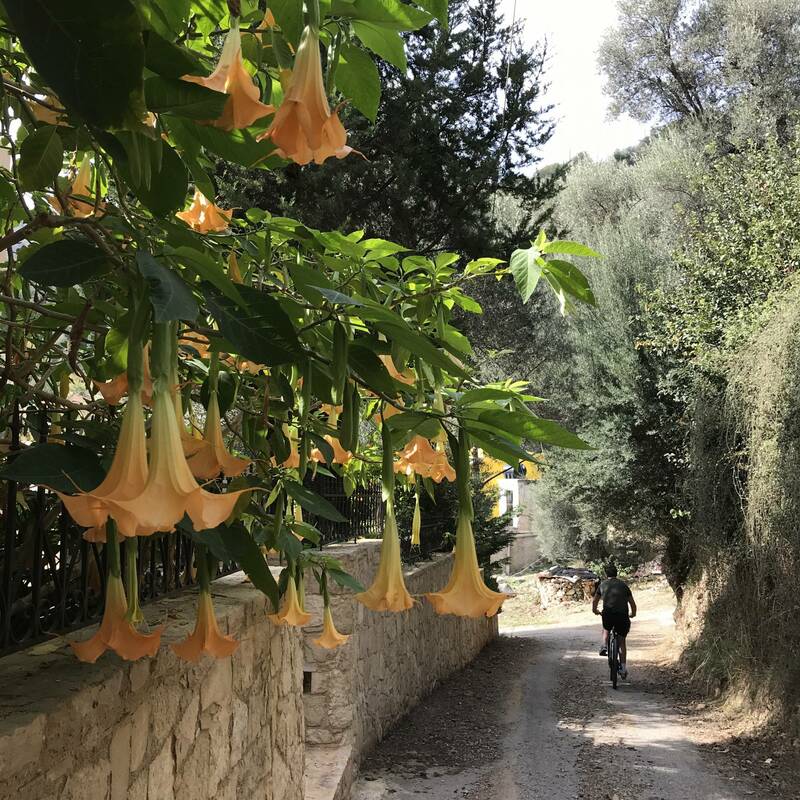 Total ascent: 780 m. Total descent 780 m.
biking through the fertile, shadey and densely wooded valley of the Kakodikianó Valley. 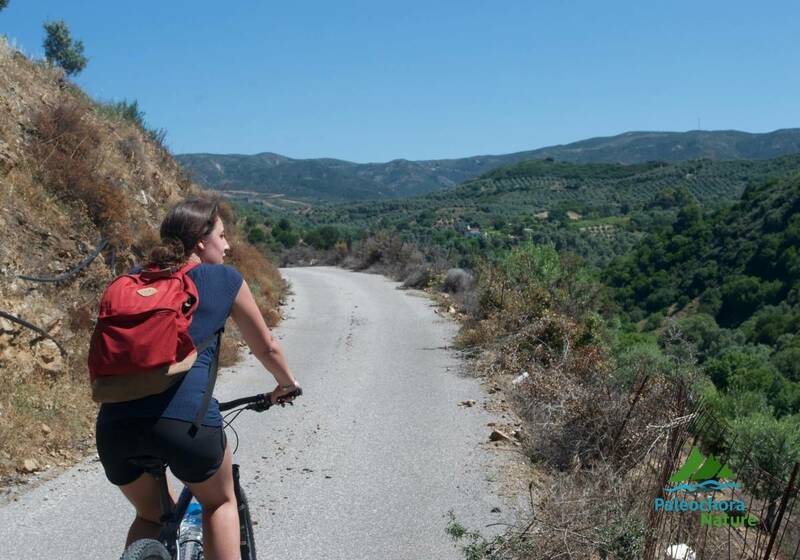 predominantly narrow tarmac roads through numerous authentic hamlets and villages. 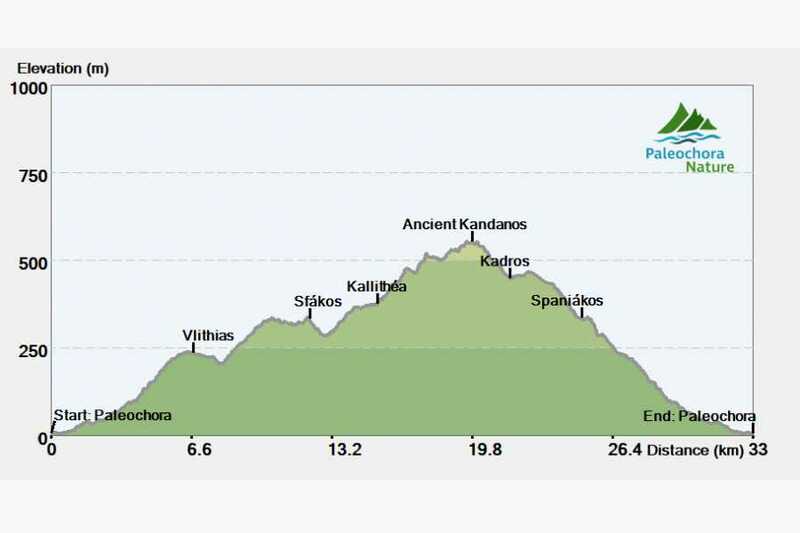 possibility of visiting the ruins of the ancient city of Kántanos. 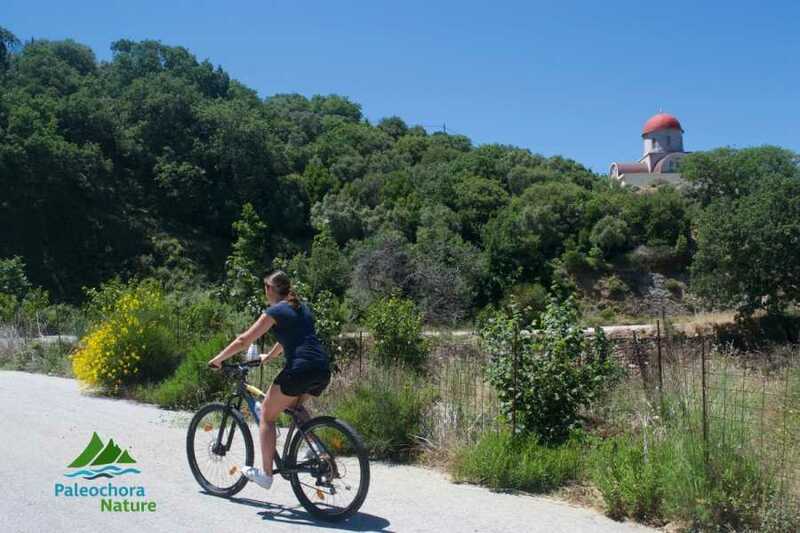 return through the amazing water rich village of Spaniákos.